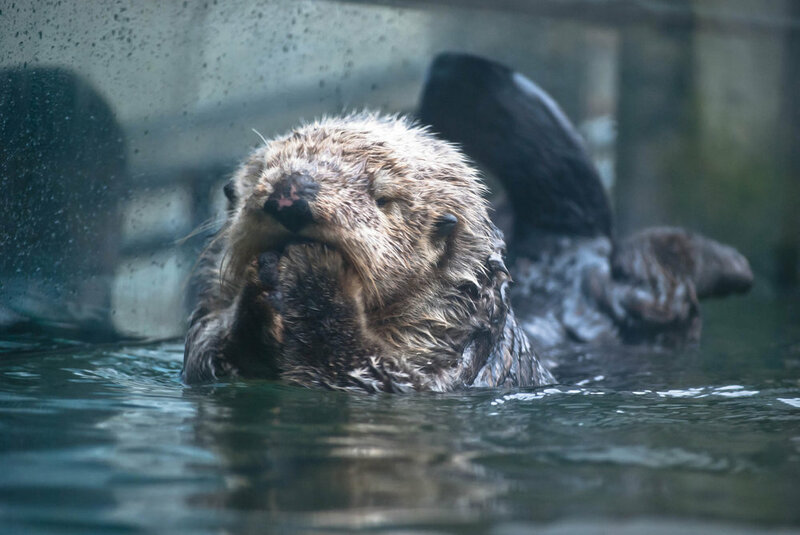 After 11 weeks of life-saving treatment and rehabilitation at the [Vancouver Aquarium Marine Mammal Rescue Centre], Wally was moved to the Vancouver Aquarium where he joins Katmai, Tanu and Elfin, three other rescued sea otters receiving ongoing care at the facility.Due to the extensive nature of his injuries and his inability to care for himself in the wild, Walter was designated non-releasable, and his transfer to the Aquarium approved by Fisheries and Oceans Canada. The Aquarium is more than happy to provide Wally with a permanent home and provide him with the long-term care he needs. Apr 17 Rub My Feet?